Be enchanted by the harmony of Mongolian Shamanic culture during an evening of traditional folk music with a contemporary twist. 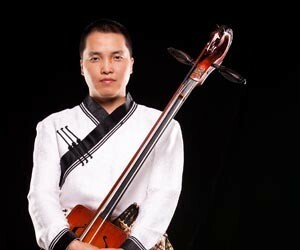 Bukhchuluun Ganburged, also known as Bukhu, combines harmonic overtone throat singing with the horse head fiddle to take you on a musical journey that will entice the mind, body and soul. Bukhu’s songs incorporate elements of genres as diverse as overtone throat singing, harmonic chant, and folk, classical, blues, metal and more recently electronic and hip-hop.